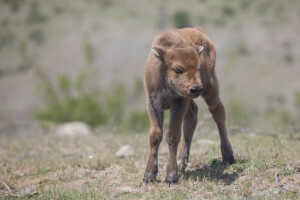 The animals, which are acclimatising quickly, will soon join the existing herd of bison in the area, boosting the role of the Rhodope Mountains as a breeding centre and benefitting local biodiversity. 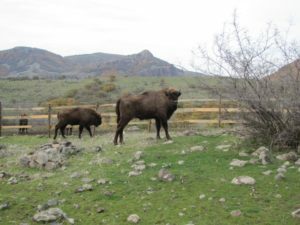 The Rhodope Mountains rewilding area welcomed two young European bison in October. The Rhodope Mountains rewilding area was delighted to welcome two more European bison in October. The animals were donated by Suhl Zoo in Germany, a former game reserve dedicated to breeding endangered European species, and join the European Wildlife Bank operated by Rewilding Europe. The journey to the Studen Kladenets Reserve in the Rhodope Mountains took two days, with both animals arriving in good condition. The bison are currently housed in a mobile enclosure, helping them to acclimatise to the local environment and enabling daily monitoring. 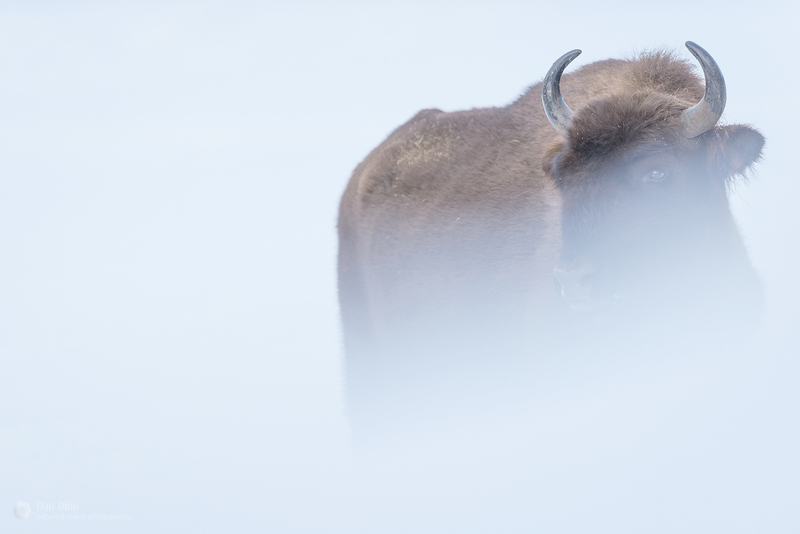 In the rewilding area the newly arrived bison will live alongside deer, wolves, vultures and many other rare and endangered species, with brown bears and chamois also starting to explore Studen Kladenets. The animals will have a beneficial impact on the local environment, with their grazing and browsing behaviour helping to create a biodiversity-rich mosaic landscape. On arrival in the rewilding area the bison were housed in a mobile enclosure. This will help the animals acclimatise to the local environment and allow daily monitoring by the Rewilding Rhodopes team. As both the newcomers are young animals they are likely to adapt easily to their new home. Following the acclimatisation period they will join the small herd of four bison already living in Studen Kladenets. The first bison were brought to Studen Kladenets in October 2013. Despite initial difficulties, the animals successfully adapted to their new environment. A bison calf born in 2015 was the first bison offspring the Rhodopes had witnessed for centuries, and was followed by a second calf in April 2017. Both calves are still doing well. Two calves have been born since Rewilding Europe first reintroduced European bison into the Bulgarian Rhodope Mountains in 2013. Once widespread across Europe, including in the Balkans, wild European bison were driven to extinction in the early twentieth century by hunting and habitat loss. In Bulgaria, the bison, which is known as the “zubar” in Bulgarian, disappeared in the Middle Ages. After a large-scale breeding and reintroduction programme based on individuals remaining in captivity, wild populations of European were re-established in areas of central and Eastern Europe, with a stronghold in Poland and Belarus. In the 1960s a small herd of European bison was also reintroduced into a hunting reserve in northern Bulgaria. The European bison, together with species like the Eurasian beaver and white-tailed eagle, made a remarkable comeback in Europe over the past 50 years. Thanks to all the European bison projects at the moment their number in the wild already increased from around 3,000 to around 4,000. 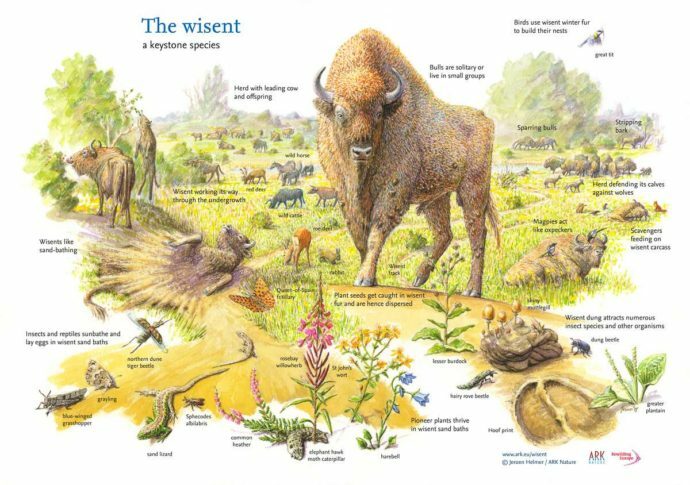 Contrary to popular belief, the European bison (or wisent) is really an animal of open and semi-open land, but resides in forests or wooded areas for shelter and food for part of the year. The bison in Studen Kladenets have quickly established themselves as a major attraction for locals and visitors to the Rhodope Mountains. They complement a free-ranging population of fallow deer, one of the largest in Europe, and red deer, reintroduced by the Rewilding Rhodopes team into the reserve. Rewilding Europe and the Rewilding Rhodopes team will continue to work together to boost bison numbers in the Rhodopes, with a view to creating a more robust and viable breeding group. Rewilding Europe is also reintroducing European bison into the Southern Carpathians rewilding area in Romania. Learn more about Rewilding Europe’s bison rewilding plan here. Read more about Rewilding Europe’s work in the Rhodope Mountains of Bulgaria here.